Forget about Paris and Milan. Do you think style is meant to be completely personal, void of social and cultural influence? Or is it truly a product of the culture you're from? As I don't have time to conduct actual research, we'll just go off of what I think: the latter, obviously. I constantly say how personal style is essential to our beings, but after some thought, isn't our style always a result of the culture we're raised in? This explains why the styles of certain regions are so vastly different: classic chic in Paris, bold and flashy in Seoul, dark and structured in Berlin. This can't be an isolated event; regional styles are, in fact, a product of that region. Common sense, no? Then I think of where I'm from, a suburb north of Atlanta that holds zero personal style except for white teenagers wearing Vineyard Vines like it's defining of Southern culture even though it originates from Massachusetts. Obviously, I don't fit this culture—I wore things that would be seen in NYC or Paris when I lived in the South for 18 years. So is style a product of our culture? The answer is blurry, especially when you're not a fan of your original culture and would gladly like to disassociate from it, which I have attempted by both physically leaving the area for good and dressing unlike my fellow Georgians. This distaste in my hometown's style forced me to find another home to pull style inspiration from, resulting in, as I said earlier, NYC and Parisian styles. Were these cultures ones I simply wished to belong to, making the argument that style is a cultural product even truer? Possibly. All that can be said for now is that style and culture are not isolated, and some cultures really know what they're doing. My younger self would immediately flock to Paris or London to find style inspiration, as I assumed these were deemed the most fashionable cities in the world. But these cities are like a grain of sand on a stretch of beach; so much more is out there. Even just in Europe. Maybe that entire region of Scandinavia that people always seem to forget about is enticing. Maybe more than enticing, maybe enticing enough for me to actually go. Which I am planning on doing! Next fall. Stockholm, Sweden. I never imagined myself deciding to study somewhere like that, just as I never imagined the region to hold a really cool style that seems to be a product of how the region is doing as a whole. Apparently Norway is the happiest country in the world, which is evident in many ways, including how everyone looks damn good. My interest in this area sprouted with my addiction to the Norwegian show SKAM, which I just recently finished rewatching, one year later. People tell me I'd fit right into any city of these three countries because I look just like every white blonde who resides in them, but I think it transcends looks—something far deeper about Scandinavia was calling my name. 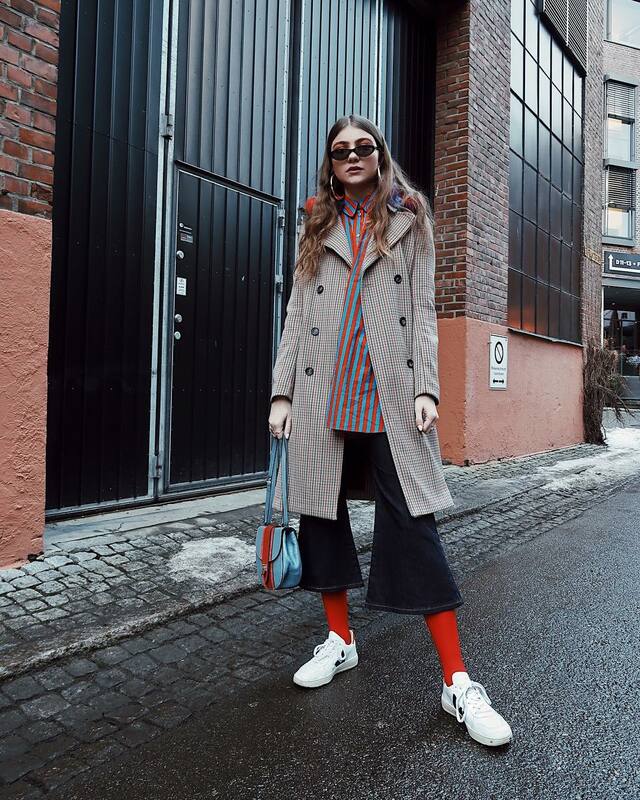 Apart from study abroad, this led me into an Instagram hole of Scandinavian style icons. I'm pretty sure I followed about 20 new accounts, realized that Copenhagen, Oslo, and Stockholm Fashion Week do exist, and that Pernille Teisbaek is Danish. Scandinavians are immensely proud of their culture, and not in that gross American way; they actually have something to be proud of. And it definitely shows in their style. Exhibit A is Norwegian Maren Schia, a name that appears often on Who What Wear and also has the art of dressing down. She should be titled an expert, a world champ. 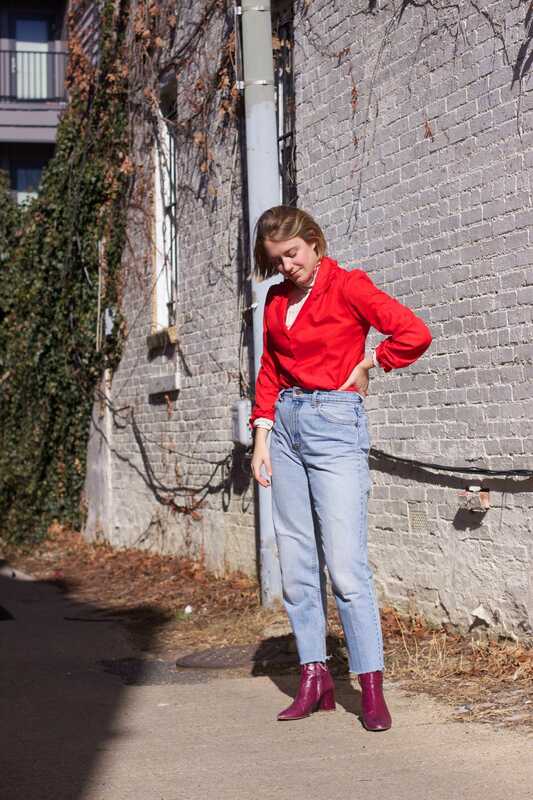 Her 'fits are out of this world, ranging from belted Canadian tuxedoes to corduroy pantsuits to ones exploding in color and interesting layers, like the one above. She brings everything we like to see from the main four fashion weeks and heightens it to her personal taste, making everything she posts on her IG well-crafted and oh-so-intentional. She puts the personal in personal style, yet still has a style that's so similar to every fashion queen from Oslo. Remember that poll I asked you guys to answer in the beginning? She's the one that proves both answers to be true. 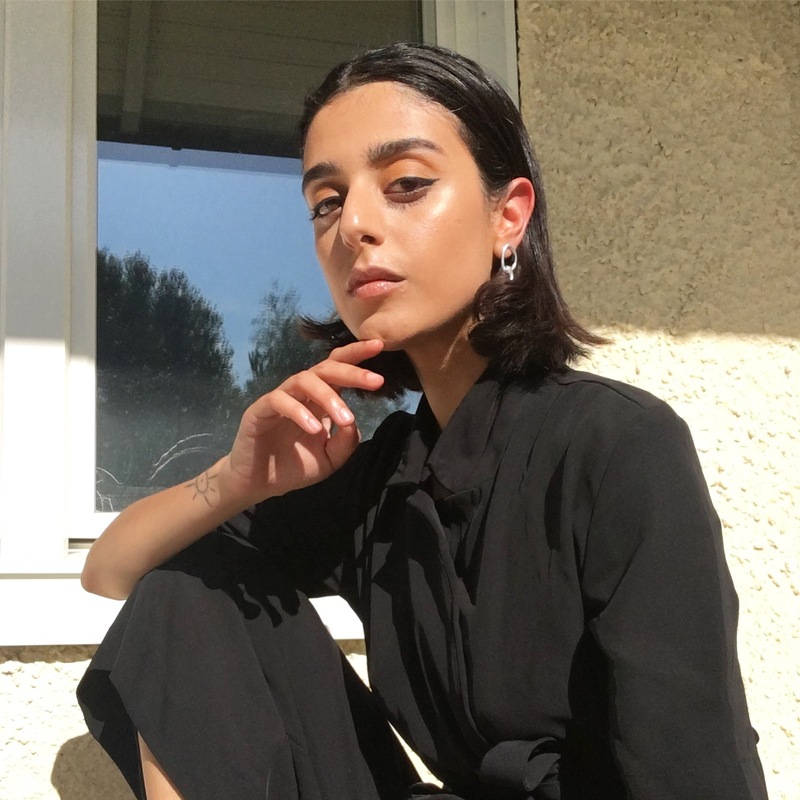 Swedish Nora Fazel's caption for the above photo is Always looking like a 12 y old boy who stole a cigarette from his mom and I don't really mind, do you?, and this statement describes Fazel's aesthetic entirely: one who simply does not mind how other people think of her. 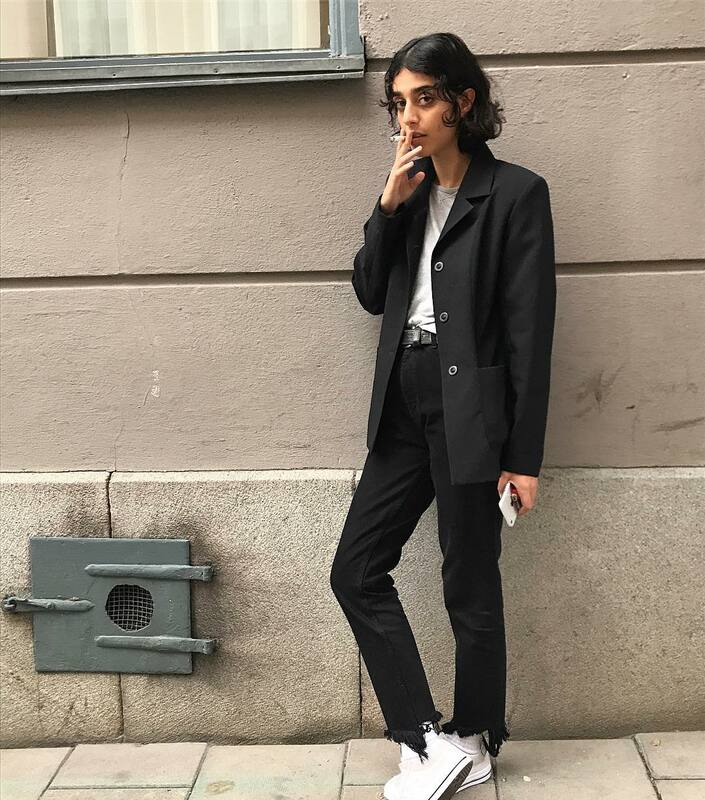 Yet she definitely cares to an extent, at least for herself, when she brings an effortlessly cool style to her Instagram, making Stockholm look like a place only fit for girls who know how to take cool outfit selfies while carelessly holding an almost-burnt out cigarette, while also posting things like memes and artful nudes. Also, she doesn't groom her body hair like every other American seems to because she transcends typical heteropatriarchal standards. Swedish Fanny Ekstrand resides from the same place as Nora but brings a completely different look to the table. While still following that same carefree attitude, she goes for a more is more approach, but in a sense that doesn't copy aesthetics like Gucci and instead comes from a very personal place. She tends to stray away from style norms, so instead she wears red tights with cowboy boots and calls it fashion. Most importantly, she's weird as hell and brings this essence to her sartorial choices, making her style more interesting than any Manhattan blogger. 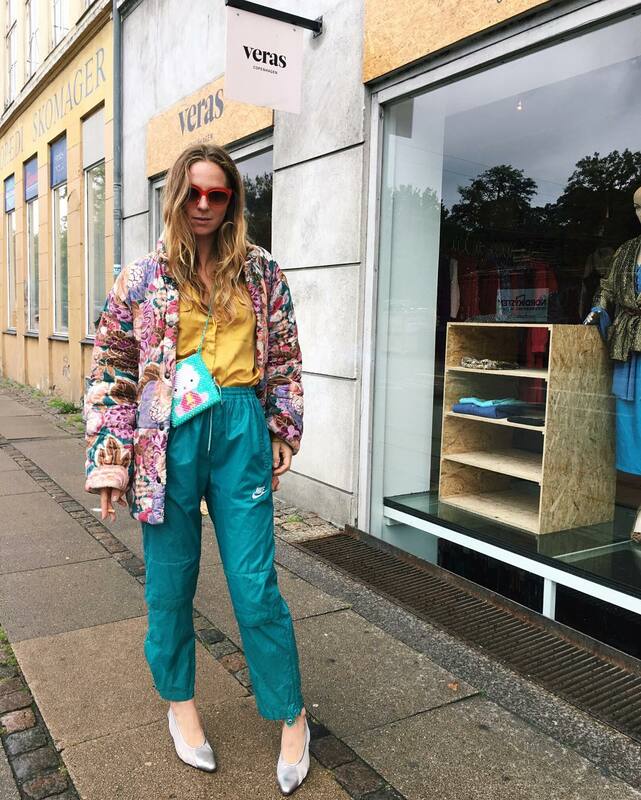 Danish Rebecca Vera Stahnke seems to follow the lyrics of "girls just wanna have fun" very closely with her style, making sure to put a dash of her own personal touch and a load of fun to every outfit she puts on. She's a big fan of making her looks obviously match a certain color scheme, and she usually makes it clear that style isn't a job for her; it's more like a hobby that comes way too easily to her. Her candid photos make her look like she's having a blast 24/7, and maybe she really is; do Danes really have more fun? Because we're already so obsessed with hygge, we should continue with this Scandinavian obsession and follow what they're doing with style. After we nail their styles down, maybe we can start with other parts of their culture. I'm very interested in making fika a tradition in the states. It should come to no surprise that when it comes to layering, I am all. Over. It. This used to be the sole reason why I loved winter so much a few years ago—it's the only season of the year where layering two unrelated items on top of each other is acceptable, simply because it's too cold to wear one of them alone. Two is better than one, no? It gets even more fun when you introduce three or four items in one layering instance because even though you thought it to be impossible for a human to wear a turtleneck with a button-up finished with a denim jacket and a leather jacket to top it off, it actually is doable. Definitely a hassle to take off at the end of the day, but so worth it for those OOTD pics and cold-weather practicality. My love of layers has stuck with me although my love of winter has not, which makes things a bit tricky—layering in the summer gets funky unless you're all about baby tees under slip dresses. This complicates my constant longing for summer when it's nearly impossible to layer in the aforementioned season. 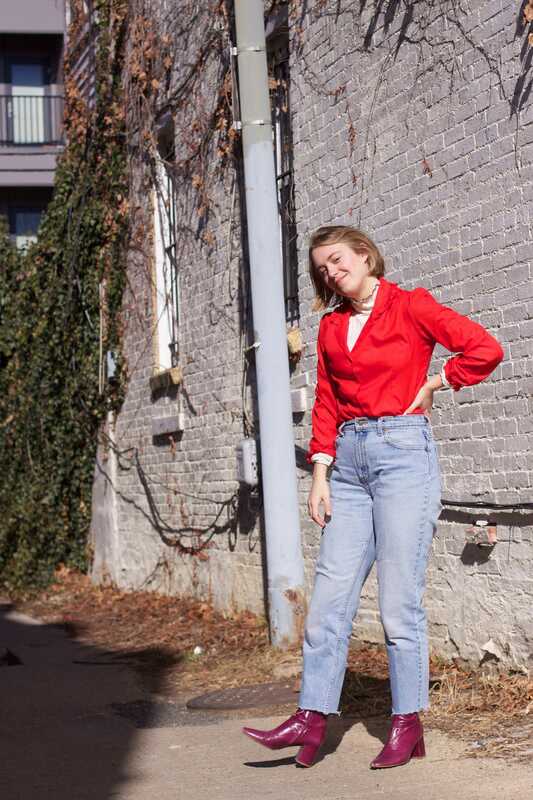 Fortunately, I've recently found a distinct personal style surrounding summer, including statement dresses, vintage jeans that hardly touch my skin, and mules. I seemed to forget the art of layering last summer, and when it got cold, I didn't take refuge in wearing far too many articles of clothing at once and instead went for chunky sweaters and heavy coats, a far easier alternative to the art of layering. My style rut didn't want to delve into this art—far too much time and effort. But maybe the way to get out of a rut is to do what always saved you in the past. That seems feasible. Since I didn't actually intend on my layering frenzy to stop when it did, it shouldn't be too hard to get back into, right? Just go back to the basics, and it will evolve into what it used to be in no time. Fortunately, I was correct—a really cold day and a ruffled turtleneck would solve the problem. Turtleneck by Madewell. 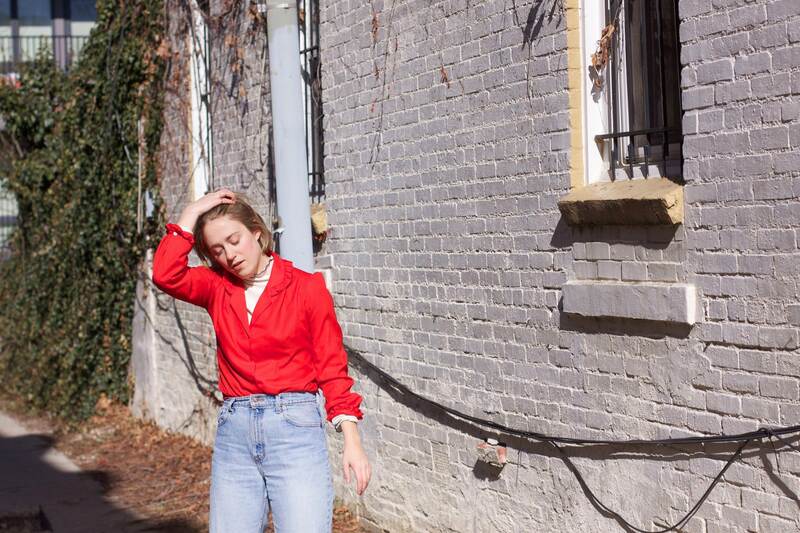 Vintage blouse and vintage Levi's from The Break (aka my favorite vintage store in Greenpoint, Brooklyn). Shoes by Zara. To dive back into layers, I immediately pulled out all of the turtlenecks I owned, which is a lot, if you already weren't aware of my obsession with the piece. I decided to opt for a neutral one, unlike the colorful nature of my tissue turtlenecks, so I could focus on the thing going over the turtleneck. This white one from Madewell has a lettuce-hem detail on the neck, making it the perfect layering tool to add a bit of detail to peek out from under that thing going over it. Now, what should that thing be? A short-sleeved button-up from Madewell that I own far too many of? Not really my style atm. Maybe a thick crew-neck sweater that will work extra hard to keep me warm? Not interesting enough. Maybe a bold vintage blouse that also has some ruffles to work with a potential frill theme the turtleneck began? Perfect. 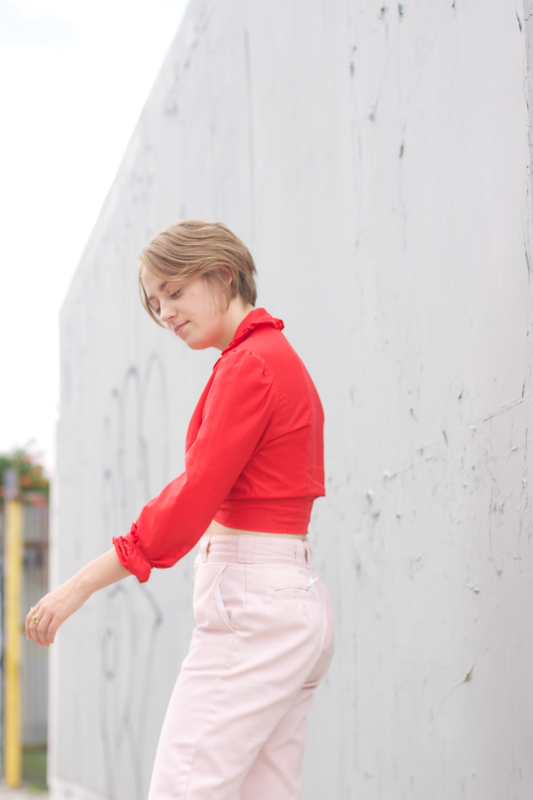 This top that definitely came straight from the '80s was my go-to in the summer and fall when wanting to wear vintage Levi's, but it got lost in my closet once temps dropped because the color seems to closely resemble parts of a summer sunset, something that we won't see again until at least June. I decided to bring it back into winter, because a) why the hell not and b) we love a pop of color to brighten our dull winter days! Speaking of Levi's, I brought those in to add a third piece, but new ones of a lighter wash and a longer inseam (aka me not cutting my jeans too short, as always) to change things up. But change "lick" to "layer," obviously. The piece of fashion that is aaaallll about stories. Shirt by Lisa Says Gah (similar LSG one here). Bandana by Madewell. We're entering that time of the year where it's really hard to get dressed in the morning. A few months ago, when winter just began, this was also true, but we used this cold to try all of our new favorite ways to beat the cold and also look really good doing it. The tried and true turtleneck can actually get exhausted to a point where I don't want anything touching my neck for at least three months, even though my instinct in the winter is to go straight for one of my three tissue turtlenecks and work from there. So instead, we just put whatever we want on, hoping it looks decent, and if not, we always have our trusty winter coats and scarves to hide our looks from the outside world. creature comfort make it painless! Exhibit A is me wearing my favorite band tee from my first time seeing Arcade Fire (one of my favorite bands) in 2014. The shirt has got some good mems attached to it, but also looks aesthetically pleasing for those of you who don't know the band. I've worn this baby probably once every two weeks for the past four years in various ways—under slips, tied at the waist with Dickies, tucked into Levi's with a blazer. 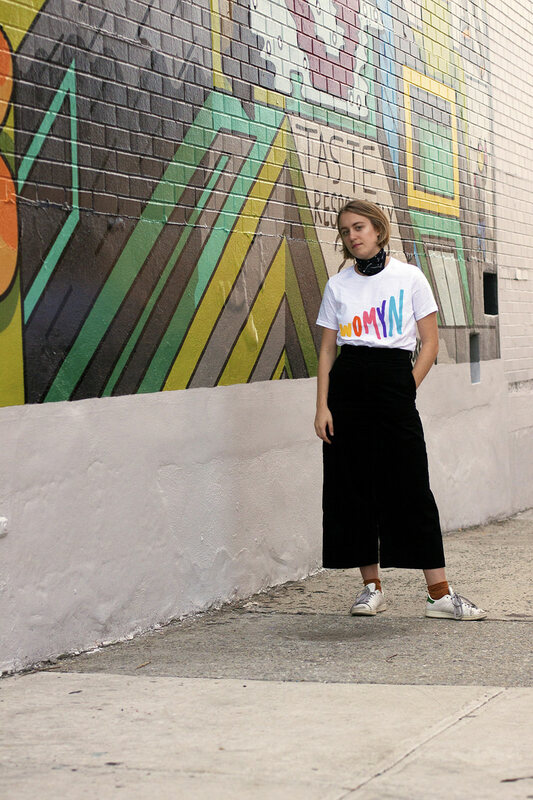 Exhibit B is the first instance I wore a graphic tee that was not a band tee—this one is the first shirt I bought from Monogram, which I discovered through Man Repeller. While I wear band tees because they have a story behind them, I wear this one for only one narrow story in mind—because it looks cool! I paired it with the jeans that I wore nonstop before I discovered vintage Levi's, as one year ago I thought the only way to wear graphic tees fashionably was to do the whole denim thing. Exhibit C, feat. 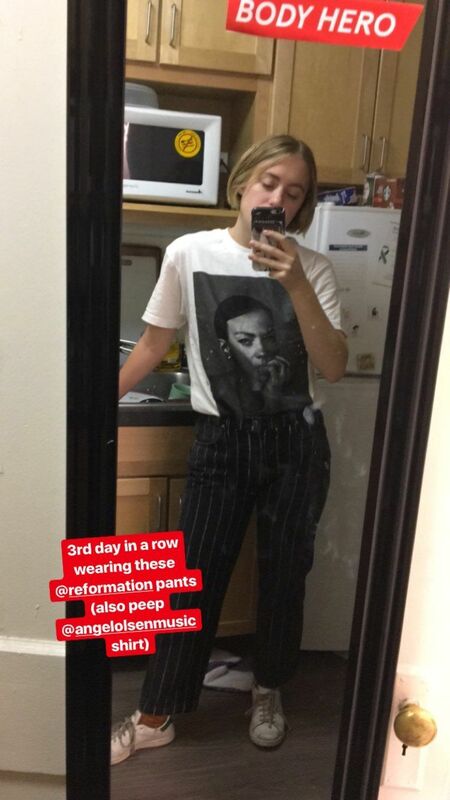 pays tribute to the band tee again, but in a different way—no dates or names are mentioned, it's just a black and white image of Angel Olsen, which most people would assume to be a trendy tee featuring some random woman, but Angel Olsen fans would notice at second glance who it is. This was in the midst of finals week, which is why I only styled it with jeans (but really cool Ref ones) and sneakers. It looked cool at the time, but now I do the whole graphic tee with sneakers and cool pants at least twice a week. As I said earlier, some things get exhausted way too quickly. Exhibit D, featuring the same pants from Exhibit A, is when I used my love of graphic tees for a good cause and to be proud of my queer identity. Two birds with one stone! 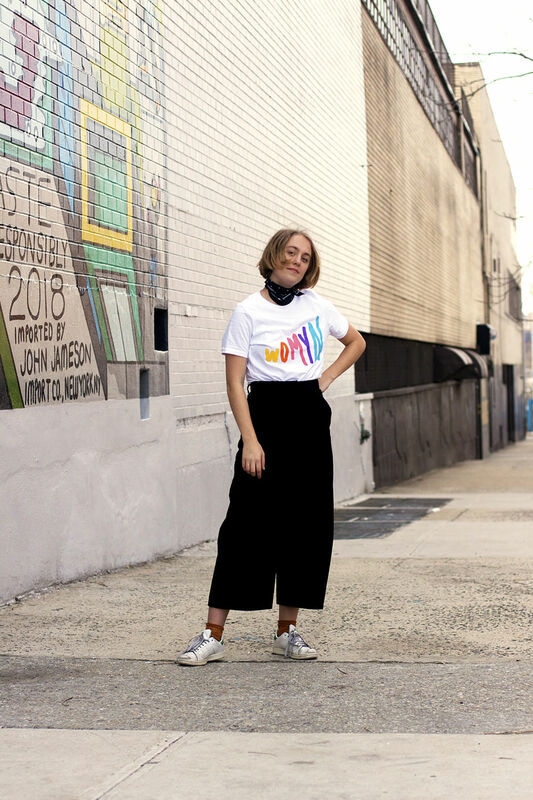 If you happen to live under a rock, Everlane has been making their 100% Human tees very fashionable but also impactful, as they donate part of their proceeds to various organizations. This one donated to the HRC, and I wore it when I went to NYC Pride this past summer, paired with way too much color, for obvious reasons. Pants by & Other Stories. Shoes by Adidas. Socks by Urban Outfitters (similar glitter ones here).Photos shot by Lucy in Williamsburg, Brooklyn. And we finally have Exhibit E, aka current time. My 100% Human tee inspired me to continue to wear shirts associated with my identity and values, so shown here is one from Lisa Says Gah that I wanted for months and finally came back in stock for a short window. It's not only super colorful, which helps my New Year's resolution of incorporating more (bright) color into my wardrobe, but it also holds a lot of sartorial and feminist power. 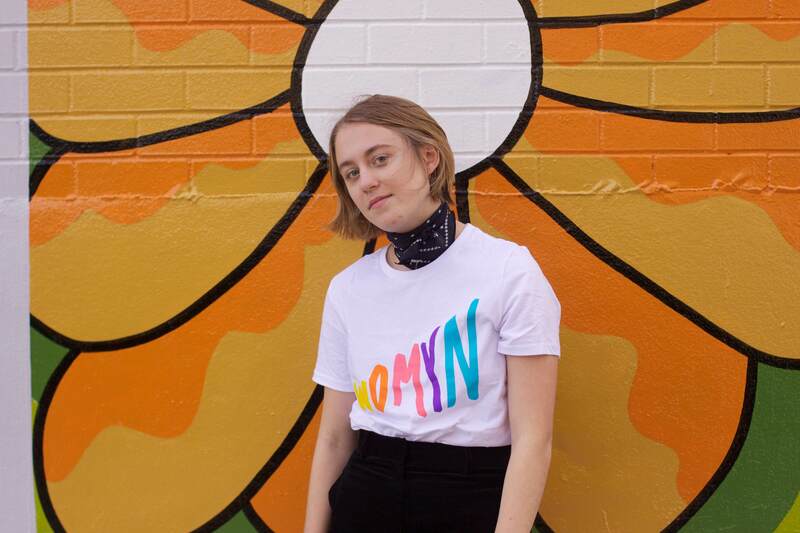 As someone who studies gender and sexuality studies, I'm really over people wearing shirts that don feminist chants without knowing its origin, or simply tees that don't really hold meaning at all. The first case mainly points out to those infamous "The Future is Female" shirts that Dior had on the runway one year ago, which actually has a deep history in the lesbian movement in the '70s and became popular after being included in a slide show titled "What the Well Dressed Dyke Will Wear." So to all the straight girls wearing these shirts: know its history! The one I'm wearing now features a term developed in the '70s by second-wave feminists, as the term "woman" is derived from "man," implying that we are a sub-category of men, or the "Other" to the dominance of men, and "womyn" makes sure to get rid of this male-dependence. Women's studies and etymology lecture over. I wear the top to both make a shoutout to feminism, but also because it looks great with a pair of black wide-leg corduroy pants with a star-bandana and really worn-in sneakers (which I've finally replaced with these!). As I said earlier, right now it's quite impossible to put effort into what we wear, so being able to wear used-to-be-white sneakers and call it fashion is more than important. If I wore this same 'fit with a plain white tee, it would result in a boring, almost-there look, but adding a meaningful graphic tee to the mix really changes the game. It does all of the work for you! Which is maybe why they're so important to me right now, when the last thing I want to do is actually try too hard with my sartorial decisions. Anyways, fashion is a lot more fun when there's a story behind it.